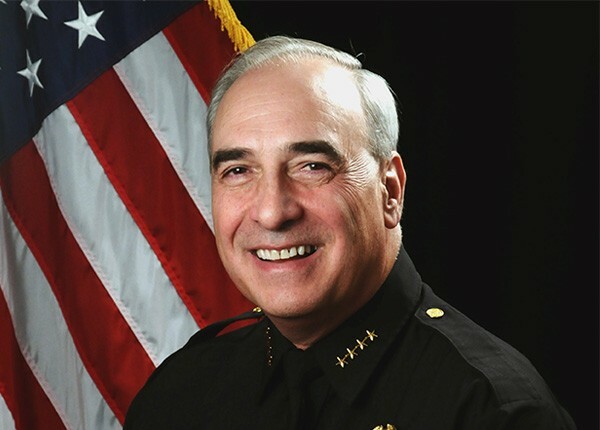 Miami Beach Police Chief Dan Oates has sent a statement to the Miami Beach Crime Prevention and Awareness Facebook Group regarding four high profile crimes that have occurred in the past week. After a relatively quiet period, the group had expressed concern about the number of events and their severity. The incidents include an attack on a Miami Beach Trolley operator after he asked a man to leave the out-of-service trolley in front of the Publix on West Avenue at 19th Street, an angry woman who was videotaped kicking in the window of a car driven by an intoxicated driver that had smashed into several others on Espanola Way, an attack on a Lyft passenger by another pool rider as the car was moving along Washington Avenue, and, finally, the murder of man out with his girlfriend on Espanola Way. As a follow up to our phone call this morning, I thought it best to write and summarize our discussion about the four recent incidents you referenced in your Facebook post yesterday. I am comfortable if you share this email as you see fit. 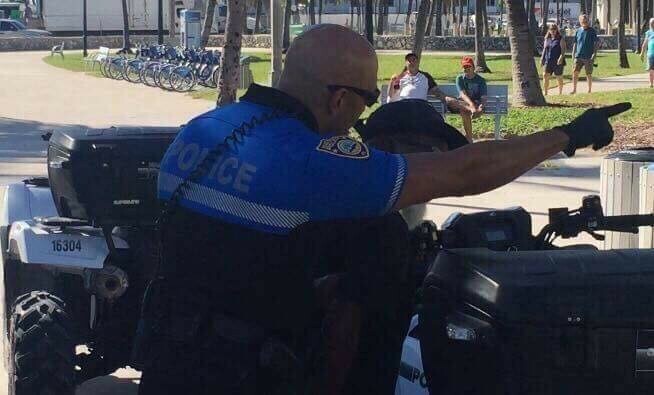 I agree with you that prior to last Saturday, we had achieved months of relative calm and successful crime reduction on South Beach. The activists involved in Miami Beach Crime Prevention and Awareness have been a significant factor in this regard. I am certain they have contributed to the crime decline through their general awareness, their tips to the Police Department, their calls to 911 after spotting wanted suspects, and especially through their advocacy in court on specific arrest cases. Also, as you recognized in your recent post, our new Municipal Prosecutor, Yoe Lopez, and his supervisors, Mark Fishman and Alek Boksner, have made a real difference in the first weeks of that program. They are convincing judges to set higher bonds and helping us obtain convictions and jail time for municipal violators who almost certainly not have seen any jail time in the past. We are fortunate that our elected City Commission chose to fund this new prosecutor. I am confident he will continue to make a difference. First, regarding the trolley incident. This occurred on Thursday evening in front of the Publix on West Avenue at 19th Street. Brian Scott Web, a dangerous individual with a significant arrest history, was promptly arrested after he attacked a trolley operator. He entered an out-of-service trolley and then attacked the driver when he was asked to leave. Your Facebook page has done a great job of highlighting the revolving door nature of our Criminal Justice system. We cops share everyone’s frustration as to why someone like Mr. Webb was still on the streets. I am glad that in this case, we were able to get there quickly and make an arrest. Second, regarding the window-smashing incident on Espanola Way early Sunday morning, the driver of that car crashed his vehicle into a number of parked cars. He was clearly intoxicated. The video depicts multiple people videotaping the subsequent kicking of his car by an angry woman. Our regret is that the first call to 911 did not provide a location for the incident. If our cops had been told the location right away, we very likely could have interceded sooner. We might have been able to arrest the woman as well as the driver if just one of the persons taking video had instead called 911. Once given a location, our cops arrived within minutes and arrested the driver for DUI. While many of your Facebook followers always call 911 right away, not every witness does. I would appreciate it if you could emphasize to your Facebook audience once again the importance of calling 911 the instant anyone sees a crime or suspicious activity. Third is the attack on the male in the Lyft vehicle, which occurred on Friday morning in a moving car on Washington Ave. The victim, in the front seat, did not know the attacker, sitting in the rear seat. This is because it was a rideshare situation. The attack was a serious aggravated battery. While I can’t provide details, our detectives are making good progress in this case. Whether the reported anti-gay slurs by the suspect will result in a higher “hate crimes” charge will ultimately be determined by the State Attorney. We are taking the case very seriously. The fourth event is a gut-wrenching tragedy. The media and your Facebook page have covered the tragedy of Kamil Patel’s murder in some detail. For obvious reasons, I cannot discuss any aspects of the case. Our detectives are working it hard. We are committed to finding justice for Kamil. His case is the first critical case to occur since the MBPD established its Reward Fund with the support local donors. As such, we have been able to offer a $5,000 reward in addition to the $3,000 already offered by Crime Stoppers. So there $8,000 in reward money on the street that we hope will result in some valuable tips. If it is ultimately established that Kamil was attacked by a total stranger, not someone he knew or someone he met and argued with earlier in the evening, this would just add to the weight of this tragedy. It would also be highly unusual. We almost never have a homicide occur like this in Miami Beach. Nearly all such crimes here are the result of relationships gone bad or a fight that occurs between strangers. We do know that Kamil was with his girlfriend at the moment he was attacked and was not threatening anyone. We are absolutely determined to find his killer. Four important additional notes for your group’s information: First, we know that two of these incidents occurred on Espanola Way. We have increased patrols in that particular area in response. Second, I spoke to the City Manager this morning, and he is committed to providing additional high-intensity lighting on Collins Court in the near future, much the way we significantly enhanced lighting on Ocean Court last year and are in the process of completing in Lummus Park. The City Manager has already spoken with both Florida Power and Light and our City Public Works Department to begin this process. Third, we are very hopeful that in the coming year, we will be able to install still more cameras in the Entertainment District. Fourth, we are hopeful that we can resolve our issues with FDOT and finally begin to install more fixed License Plate Readers in the Entertainment District as well. I recognize that there is a lot of frustration and anguish in the community over these recent incidents. We in the Police Department share this frustration. Our cops and detectives are working hard on all of this. My thanks to you and your group for your support as we solve these crimes and keep moving forward and trying new techniques to make South Beach safer.